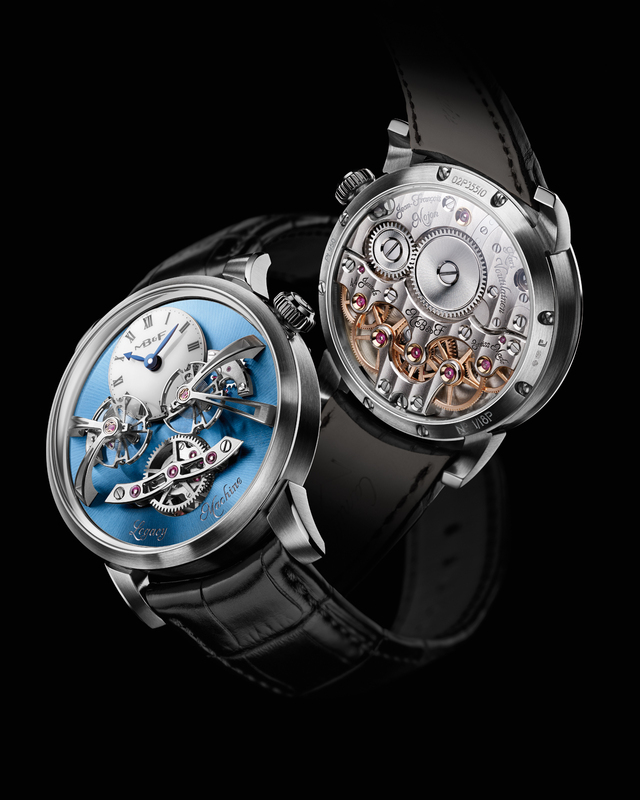 There are timepieces which are just watches, there are timepieces which are timepieces, but of a higher degree of perfection, and there are timepieces which are artistic masterpieces, created by some of the most creative minds in Swiss watchmaking. One such timepiece is the LM2, the latest horological machine from MB&F. Abraham-Louis Breguet (1747– 1823), Ferdinand Berthoud (1727– 1807) and Antide Janvier (1751– 1835). Philippe Dufour, one of the most impressive watchmakers currently in Switzerland, has created a timepiece before with a dual Regulator. I think it was only a unique Piece, but I am not sure, he may have created more than one. Anyhow, what makes the LM2 even more amazing, is that “the average rates of Legacy Machine No.2’s dual regulators are transmitted by a differential to a single gear train, where the majority had two separate movements.” That is a very rare implemenation. While LM1 was impressive with two Independent timezones which are set independently, the LM2 is probably even more amazing. Well, talk is cheap, so take a look at this beautiful watch! This is the Platinum Version with blue dial. There are two other Versions in case you are curious as well.